Integrating physical, engineering and social sciences to construct a framework for assessing effectiveness and side effects of geoengineering proposals. The IAGP project was funded from October 2010 to February 2015. IAGP Research: What have we learned? 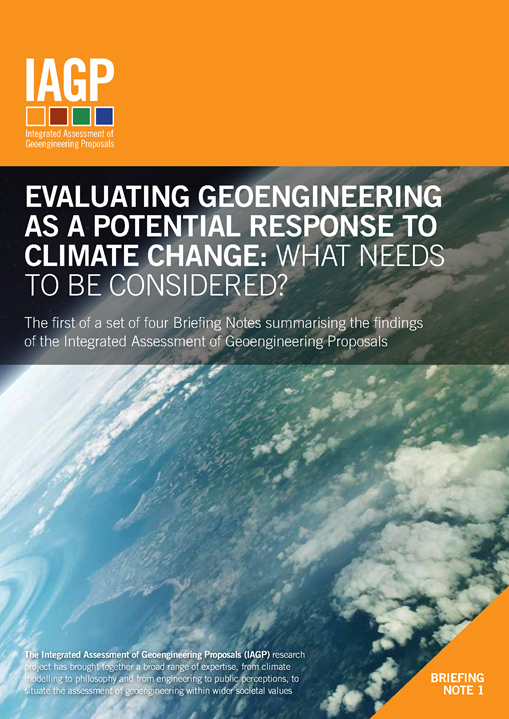 Briefing Note 1, Evaluating geoengineering as a potential response to climate change: What needs to be considered? 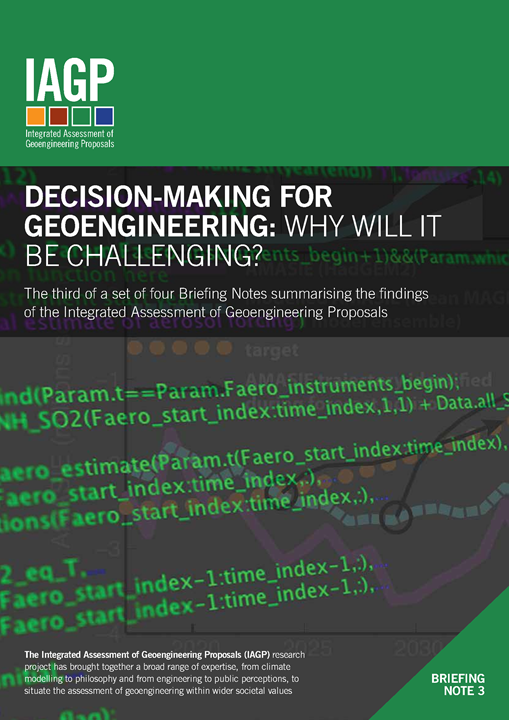 Briefing Note 3, Decision-making for geoengineering: Why will it be challenging? 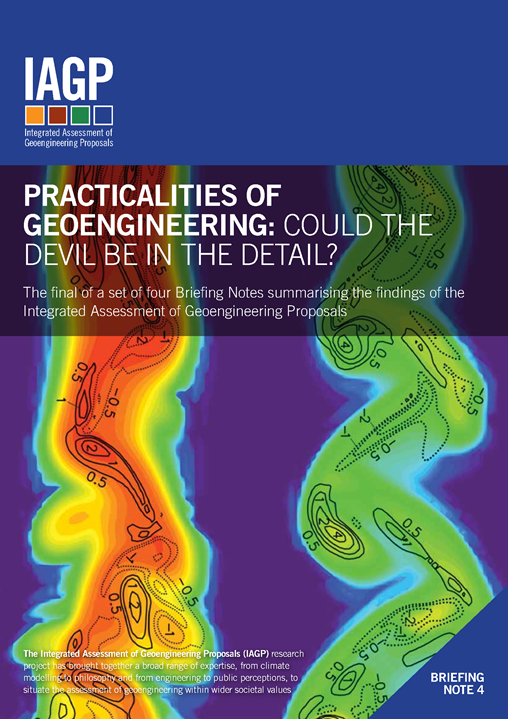 Briefing Note 4, Practicalities of geoengineering: Could the devil be in the detail? 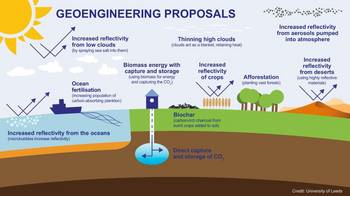 Views About Geoengineering: We have also produced a special feedback briefing note for members of the public that outlines the key outcomes of our public engagement. In this latest study, published in the Journal of Geophysical Research: Atmospheres, IAGP researchers Julia Crook and Lawrence Jackson consider how effective different Earth radiation management schemes are at counteracting global warming. Read more. February 2015: Not enough time for geoengineering to work? January 2015: Could we Restore Arctic Sea Ice with Geoengineering? 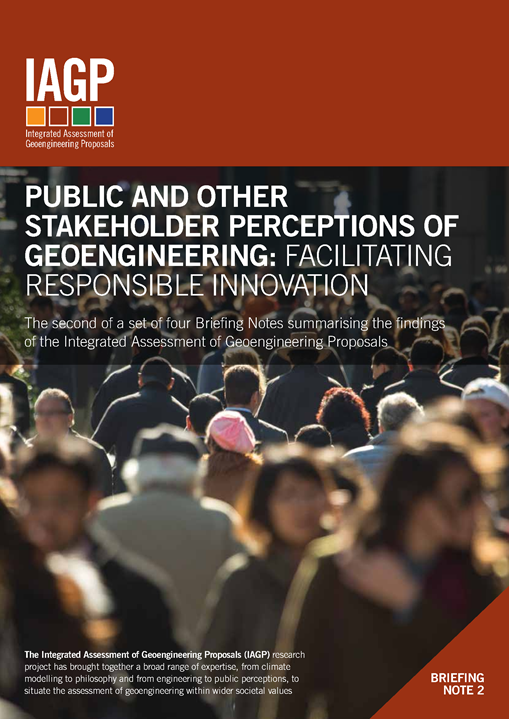 On 26th November 2014, three UK geoengineering research projects, IAGP, SPICE and CGG, held a joint event, Geoengineering Research: Where Next?, at The Royal Society in London to disseminate our research findings. Read the press release for the dissemination event. Watch the key speakers' presentations and view the slides. BBC News: How could we intervene to change the climate? Read through our archive of IAGP news articles. Find out more about geoengineering. Find out more about who we are. Find out more about our research.